This Sunday, 27th May, we presented a special “Mosquito Day” at the FONFA Museum Open Day, a celebration of the De Havilland Mosquito, the ‘Wooden Wonder’ of WWII, with a visit from Alan Pickford, the force behind “The People’s Mosquito”, a project to rebuild a Mosquito to flying condition, in the UK – see http://www.peoplesmosquito.org.uk/. Alan gave presentations on his project and the history of the rebuild and answered questions from visitors. In the morning, we were visited by Frank Damerell, a Royal Canadian Air Force (RCAF) Navigator/Observer who flew Mosquito missions from Amiens in France with 410 Squadron, in 1944-5. He was accompanied by his son, Phil and Ruth Lynch, from the Spitfire Society. 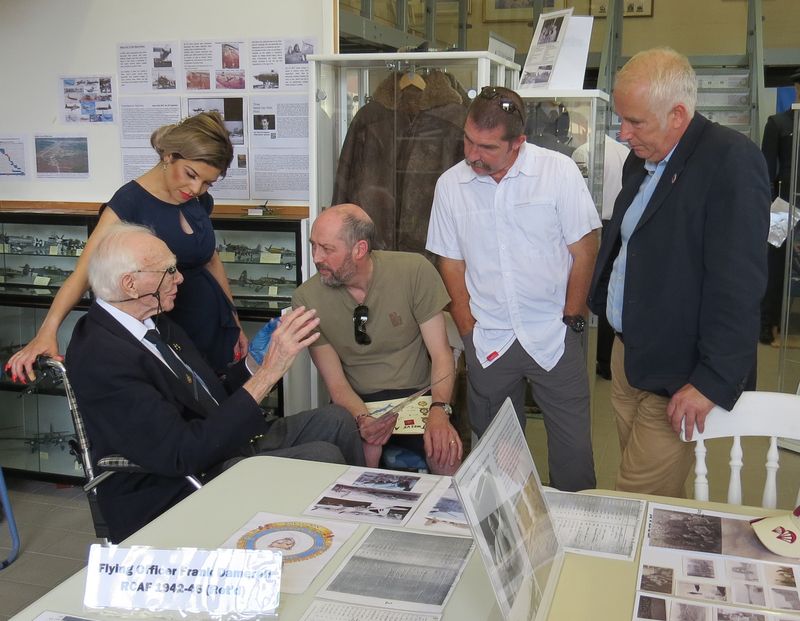 Frank enthralled Museum visitors with tales of his wartime experiences. 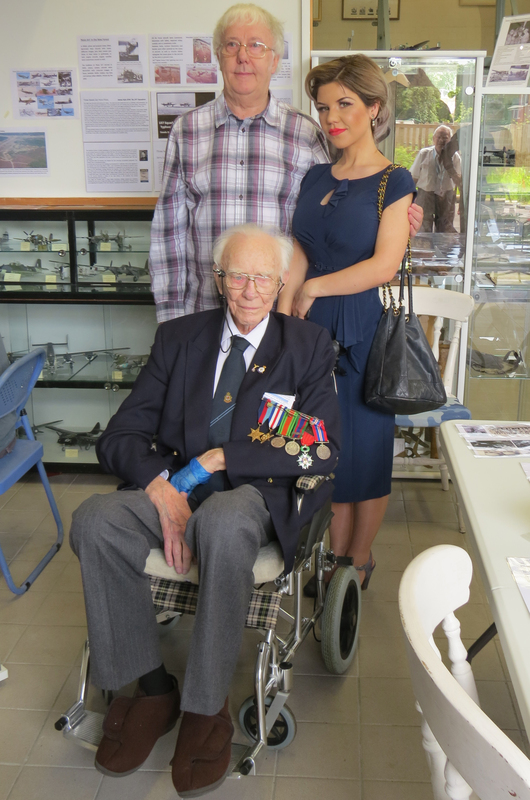 Frank was interviewed about his WWII missions this week by Neil Sackley of BBC Radio Solent. The interview was broadcast on Julian Clegg’s Breakfast Show on Friday 25th May and again on Sunday 27th May by Tim Daykin. You can hear it again at https://www.bbc.co.uk/programmes/p06807lt . Overall, the day was a great success, with over seventy visitors to the Museum on a dry sunny day.